Brand-new, manufacturer repaired dings, dents, or parts, never used, full manufacturer’s warranty! 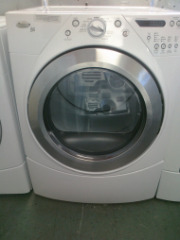 This entry was posted on March 9, 2012 at 12:50 pm and is filed under 2-Washers/Dryers. You can follow any responses to this entry through the RSS 2.0 feed.